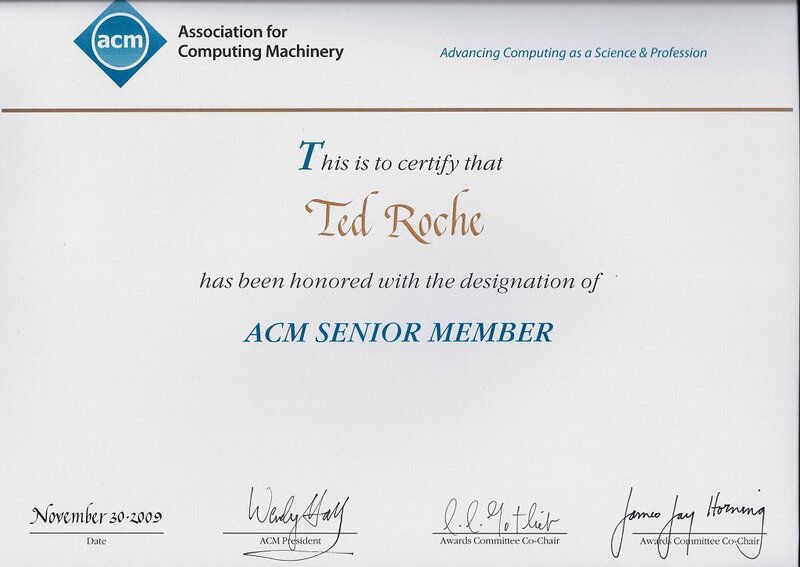 The Association of Computing Machinery, the oldest computer user group, named me a Senior Member. 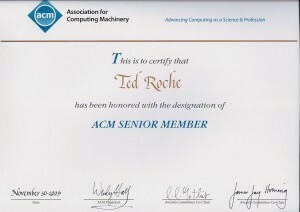 It’s a new designation, and I’m not sure the ACM knows what they will be doing with this designation. The process was simple: get nominated (or self-nominate), get 3 ACM members to endorse you, and wait for the committee to review the application. I was promised a special member card as well as a certificate, but this is all I’ve seen so far.